Your liver manufactures most, about 80 percent, of the cholesterol your body requires, which in and of itself suggests your body cannot survive without it. The remaining 20 percent comes from your diet. However, dietary cholesterol is absorbed at a rate of 20 to 60 percent, depending on the individual,2and if you consume less, your body will compensate by making more and vice versa. “However, it is what happens next, where we rapidly diverge in our thinking,” Kendrick writes.12 “The mainstream believes that, after damage has occurred, it is LDL, and only LDL, leaking into the artery wall that triggers a whole series of downstream reactions that lead to plaques forming. The researchers found that for every 30-point drop in total cholesterol, there was a 22 percent increase in the risk of death from cardiac disease. 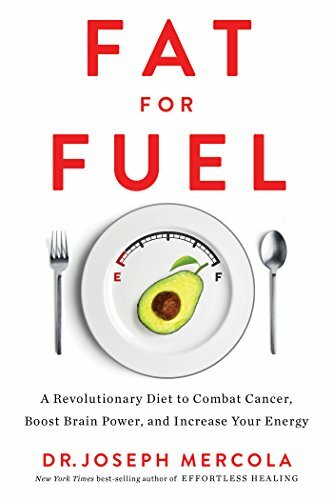 Upon autopsy, the group eating vegetable oil and the group eating saturated fat had the same amount of atherosclerotic plaques in their arteries, but the group eating saturated fat experienced nearly half the number of heart attacks as the group eating vegetable oil. 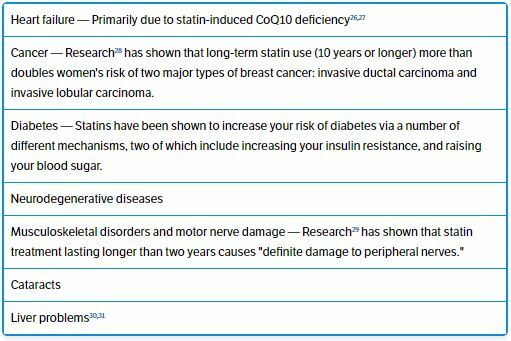 1.They don’t work as advertised — A 2015 report22 published in the Expert Review of Clinical Pharmacology concluded that statin advocates used a statistical tool called relative risk reduction to amplify statins’ trivial beneficial effects. 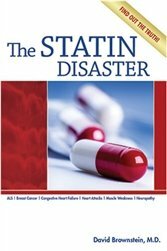 If you look at absolute risk, statin drugs benefit just 1 percent of the population. This means that out of 100 people treated with the drugs, one person will have one less heart attack. 2.They deplete your body of CoQ10 — Statins block HMG coenzyme A reductase in your liver, which is how they reduce cholesterol. This enzyme also makes CoQ10, which is an essential mitochondrial nutrient that facilitates ATP production. 3.They inhibit the synthesis of vitamin K2, a vitamin that protects your arteries from calcification. 4.They reduce ketone production25 — If you take CoQ10 while on statins you still have not solved the problem, as the same enzyme (HMG coenzyme A reductase) also inhibits your liver’s ability to produce ketones, water-soluble fats that are essential to keep your body metabolically flexible. Ketones are also important molecular signaling molecules. So, statins make it virtually impossible to achieve nutritional ketosis. Also, beware of a newer class of cholesterol absorption inhibitors called PCSK9 Inhibitors.33 PCSK9 is a protein that works with LDL receptors that regulate LDL in the liver and release LDL cholesterol into the blood. The inhibitors block that protein, thus lowering the amount of LDL circulating in your blood; in clinical trials, these drugs lowered LDLs by about 60 percent. However, as discussed earlier, LDL has no direct bearing on your CVD risk. 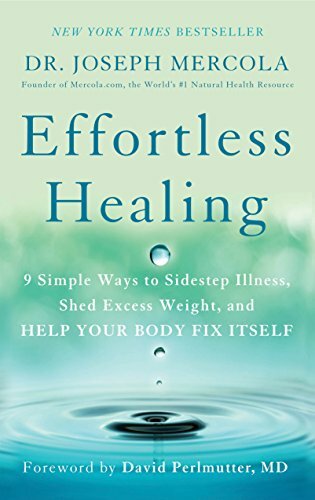 Effortless Healing: 9 ... Dr Joseph Mercola Check Amazon for Pricing. •Cholesterol ratios — Your HDL/cholesterol ratio and triglyceride/HDL ratio is a strong indicator of your risk. For your HDL/cholesterol ratio divide your HDL by your total cholesterol and multiply by 100. That percentage should ideally be above 24 percent. For your triglyceride/HDL ratio divide your triglyceride total by your HDL and multiply by 100. The ideal percentage is below 2 percent. •High sensitivity C-reactive protein (HS-CRP) — This is one of the best overall measures of inflammation and an excellent screen for your risk of heart disease. Ideally your level should be below 0.7 and the lower the better. •Iron level — Iron creates an environment for oxidative stress, so excess iron may increase your inflammation and increase your risk of heart disease. An ideal iron level for adult men and non-menstruating women is between 40 and 60 nanograms per milliliter (ng/ml). You do not want to be below 20 ng/ml or above 80 ng/ml. 22 Expert Rev Clin Pharmacol. 2015 Mar;8(2):201-10. 28 Cancer Epidemiol Biomarkers Prev. 2013 Sep;22(9):1529-37. 33 Bilazarian S, Sabatine MS. PCSK9 Inhibitors: What to Know If They Come to Market. Medscape. April 28, 2015. Online (Requires free subscription). 34 Drugs.com. New Drug Class Slashes ‘Bad’ Cholesterol, Review Finds. Drugs.com. April 27, 2015. Online.